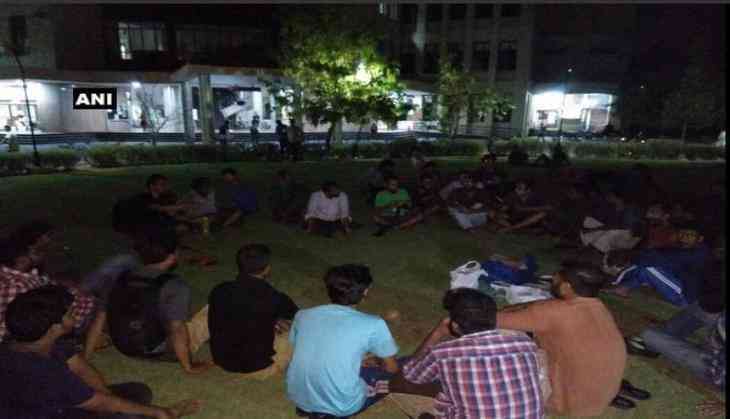 A group of students at the Indian Institute of Technology (IIT) Madras conducted a beef festival, showing their agitation against the Center recent order against selling cattle thus imposing an indirect beef ban. More than 50 students supported the cause by participating in this fest late on 28 may's night. Earlier on May 27, Students' Federation of India (SFI) staged similar protest in Kerala by eating beef outside University College, Trivandrum. Minister for Environment, Forest and Climate Change Harsh Vardhan on 26 may ordered that the ministry has notified the Prevention of Cruelty to Animals (Regulation of Livestock Markets) Rules, 2017 to ensure that the sale of cattle is not meant for slaughter purposes. "Aim of the rules is very specific. It is only to regulate the animal market and the sale of cattle in these markets, and ensuring welfare of cattle dealt in market. And the rule provides for a strict animal monitoring committee and an animal market committee at the local level," Vardhan told ANI. He said the seller and buyer both have to ensure that the cattle is not being bought or sold in the market for slaughter purposes. "An undertaking to this effect has to be given to the member secretary of the animal market committee from the seller as well as the buyer," Vardhan added. As per the notification, cattle is defined as "bulls, bullocks, cows, buffalos, steers, heifers and calves and camels".